I official hate you, yes, hate is a very strong word that is why I chose it. I would never allow my children to use the word hate unless they were speaking of you, stink bug. You are a menace to vegetable growers every where. I would say I hope you died but we both know you won’t. Next year I will be ready for you so lets just do us both a favor and never come back. 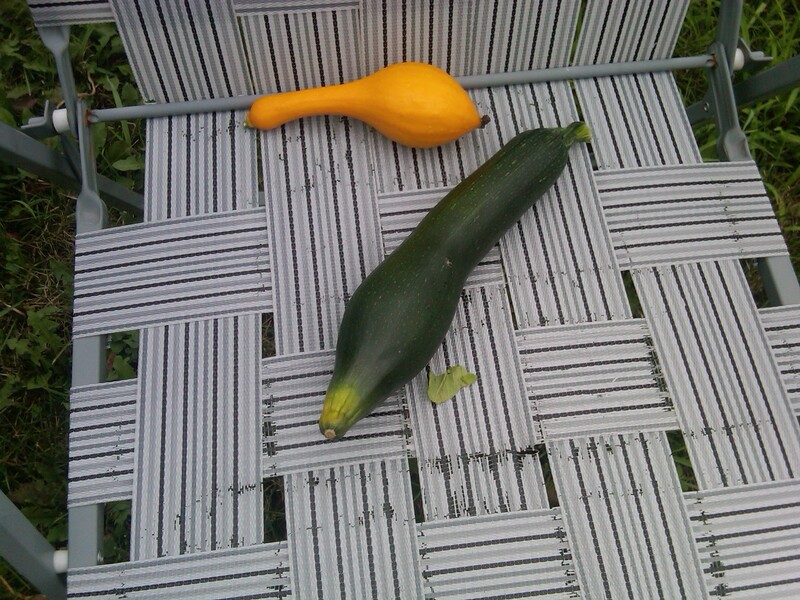 I have tended to this years garden more than any garden before why?? because of these nasty bugs. 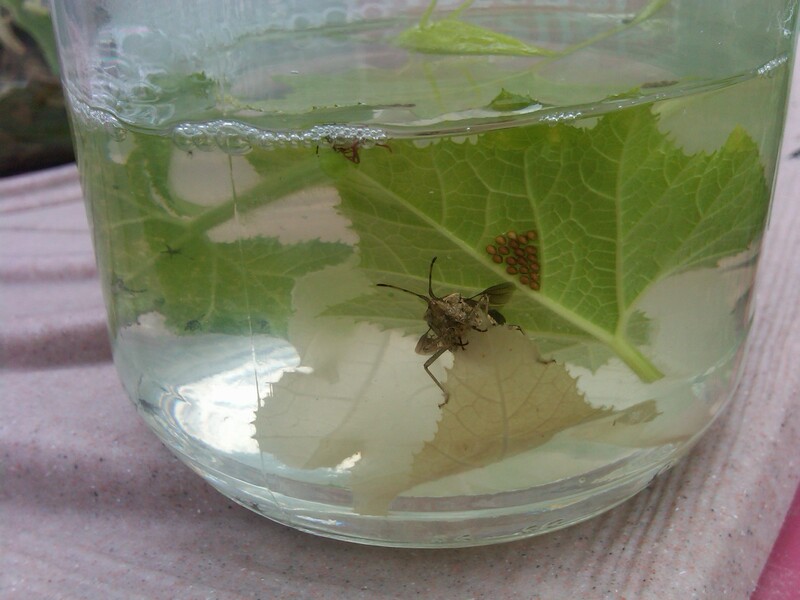 I would find eggs cut the leaf off and throw them in a jar…. I was out there every day morning and evening looking feverishly for these darn eggs so I wouldn’t get veggie eating bugs! Every day I found more I didn’t get it I thought I drowned the two bugs that made all these buggers (no pun intended). 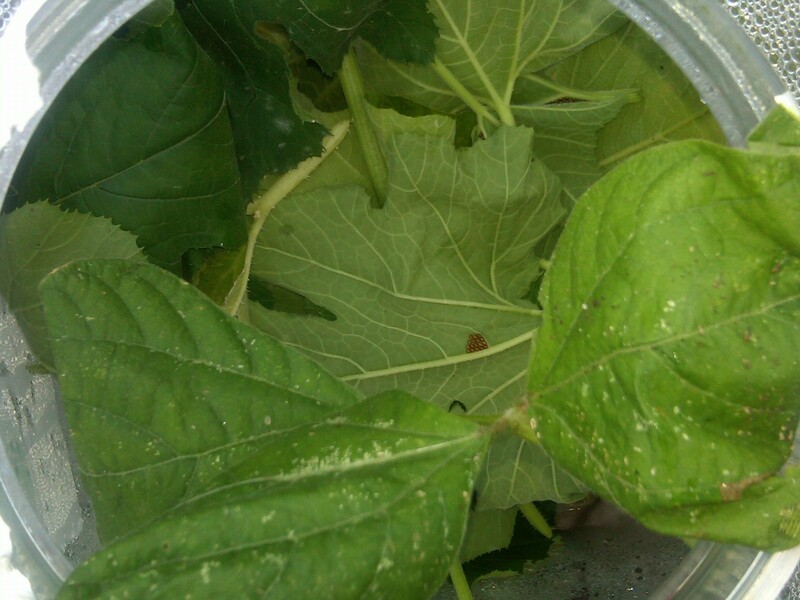 After a month of filling jars with egg filled leaves, it just got worse….. I missed some apparently and they hatched~!! 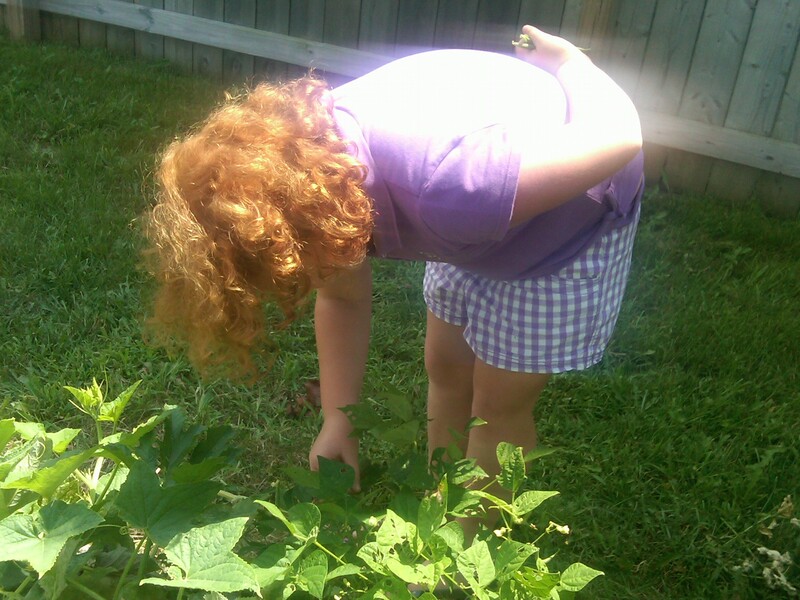 Would we get any vegetables this year? Hmmm….that’s it?? Why does the 6 zucchini that were growing look like they are mushy??? Well I will tell you why! 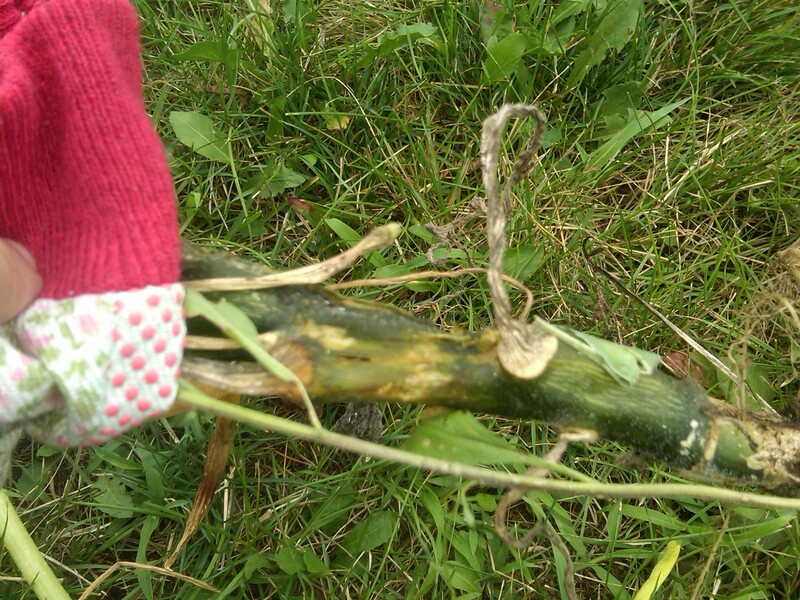 The more weeds I pulled the more bugs I found and they can not be squished or they stink to high heaven! So I pulled out huge stalks of zucchini bushes and shoved them into a big plastic jar. One even dared to stare at me while I screamed die die die!!!!! 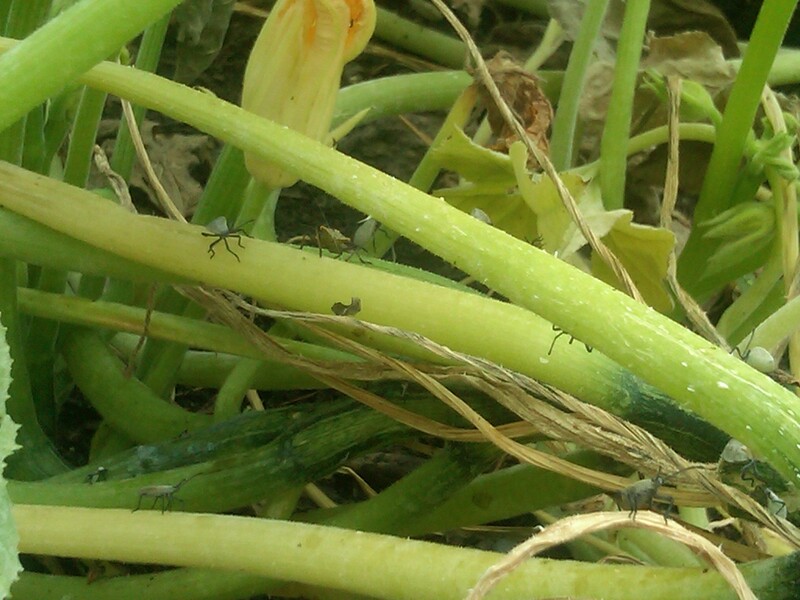 Stink bugs will destroy your garden from what I read and what I saw they will get to the bottom of the stalks and keep the new squash from getting nutrients. 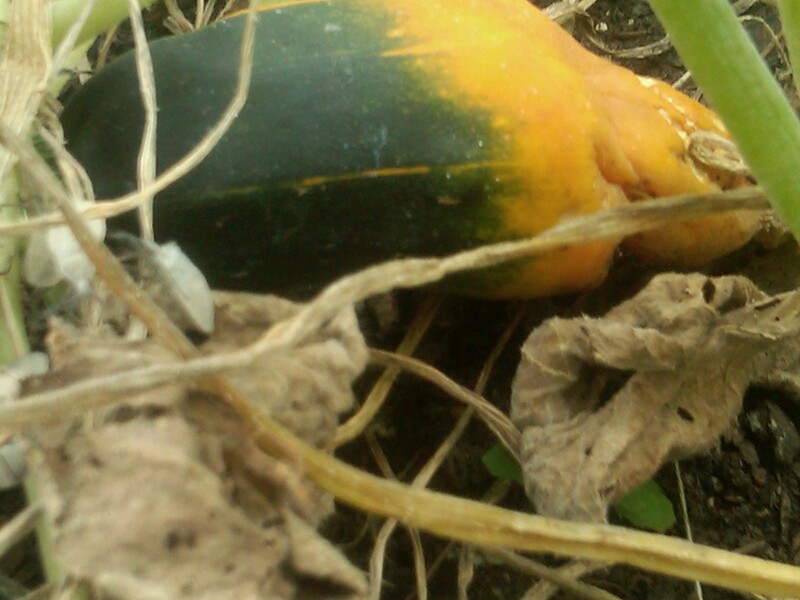 Then when they run out of stalk they move onto whatever squash is out there, they start from the bottom and just never stop eating turning the squash yellow and squishy. 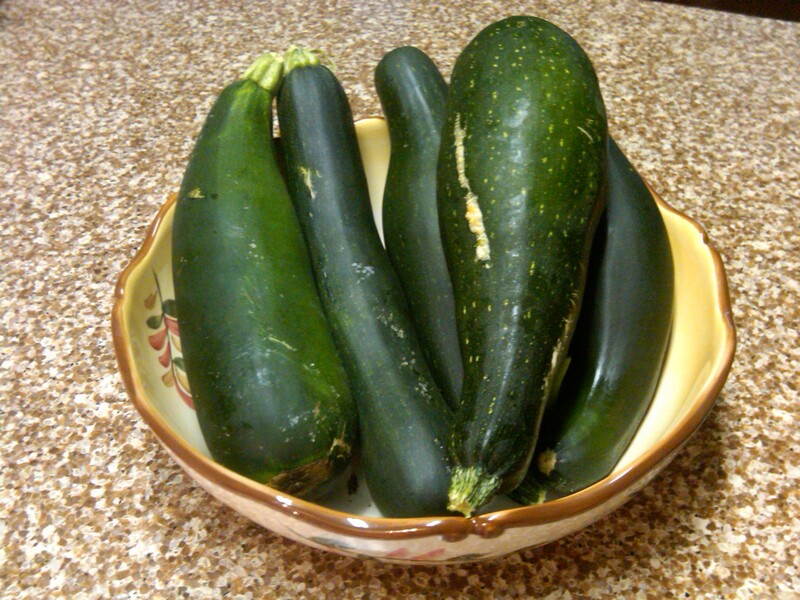 SO this year we got 8 zucchini Chad gave his mom 4, I hope they used them well. I got to make 2 loaves of bread and Gramps 6 heart-shaped little zucchini bread. That was it for this year from the Pea’s Garden. Oh we did get a couple of tomatoes and when I say a couple I mean 2. 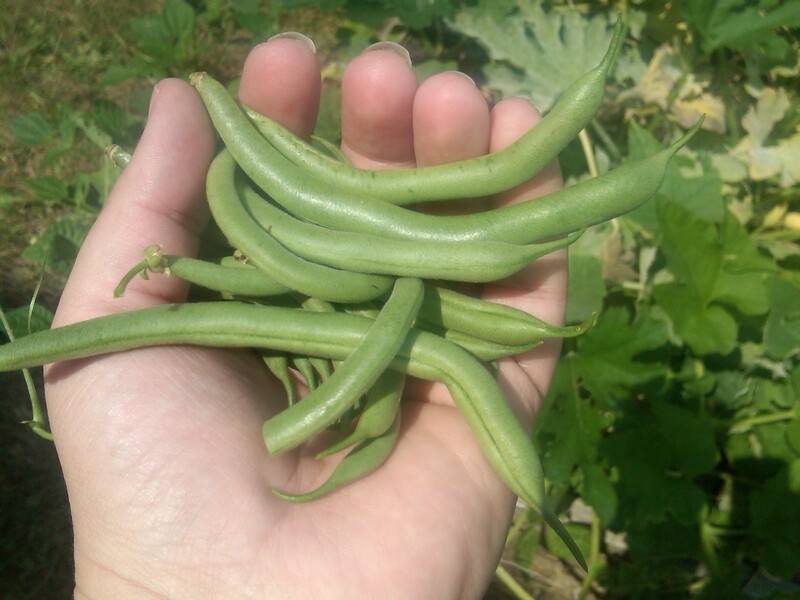 Oh we did get beans, apparently these stink bugs could care less about beans they only want to destroy squash. 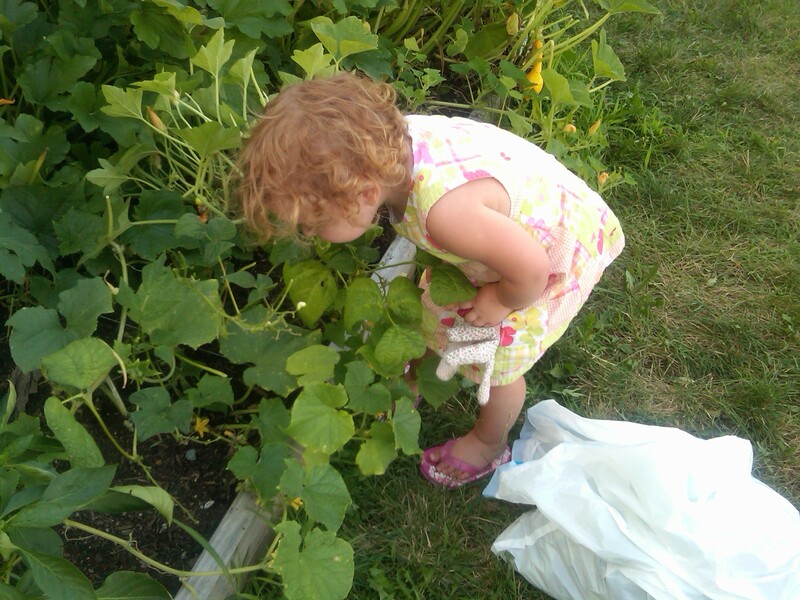 Looks like we will be at the Farmer’s Market a little more this year. All four of us love the market so it’s a great excuse to go! 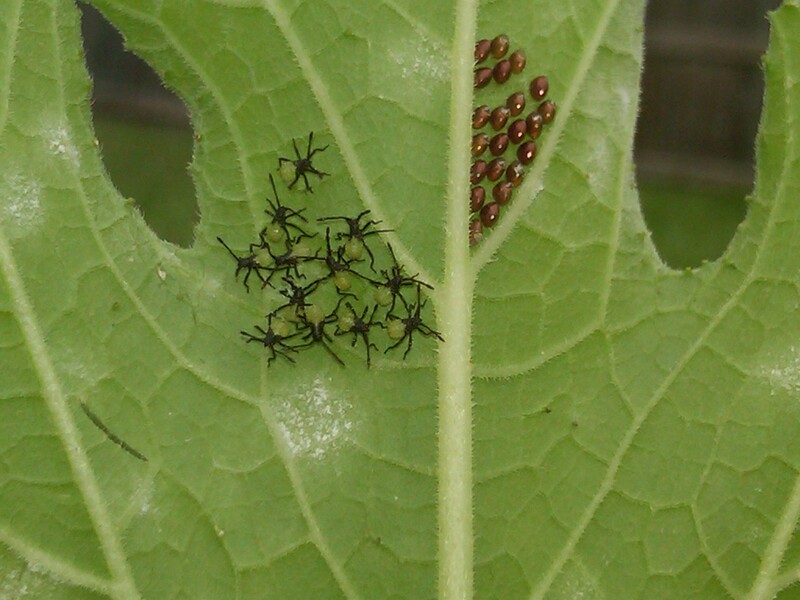 Stink Bugs 1 – Mom of 2 Peas 0. Oh yes…. there is another stink bug coming your way, it is even WORSE! It is called the Megacopta cribraria. At first you think they are lady bugs so you are happy…. then you see they eat your wisteria and lady banks roses! THEN they are invading our houses here and spreading! By the MILLIONS. I started with a handful, no big deal, now they swarm in the thousands, nothing kills them, everyone is searching for a cure. But, they are spreading. I’ve never seen anything like these things, usually I can kill any bug (I can be very determined) but these guys have the exterminators baffled and the agri. dept’s freaking out. No cure…. NO CURE! Coming to a garden near you……. The Georgia Dept. 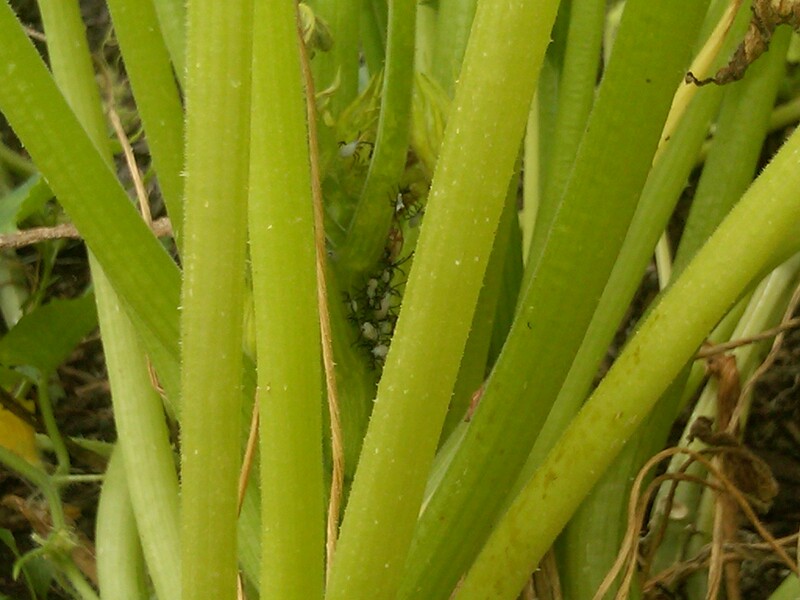 of Agriculture got in touch with me….. seems they are freaking out on these new stink bugs over here. What I did was spray with some chemicals I had laying around AND some Dawn dish soap! They are laying dead on the porch. But, I think you have to just keep spraying. I think the Dawn dish soap is the key. That is nuts!! I am not ready for that these stink bugs took all my energy and I lost 0-:~ Be sure to let me know if you get them and how you deal! So far it looks like you have to put the dawn dish soap in the spray (w/chemicals). But, it looks like repeat spraying will be needed…. and it turned my wisteria yellow 😦 Killed a bunch of the bugs though. I don’t want to use the systemic chemicals (as I think it kills honey bees) plus it can’t be good on food crops! It only kills them if the dawn comes in direct contact with them. Remember, these new stink bugs LOOK like lady bugs, but they are brown in color with a flatter bottom (I don’t see a place to put a photo on here), but people keep thinking they are lady bugs, they are not! They cluster in the hundreds together. There are over a thousand on the wisteria & lady banks roses. I can see the pattern on a map (by the agri.dept.) of them spreading. Coming your way. This is the 2nd year I saw them (I too thought they were lady bugs) until they ATE everything! I am awfully sorry to what happened to your garden. These bugs are a pain in the neck for us gardeners. I had them one season and fortunately found them before they spread all over the garden. Had sprayed them with pepper extract and alas they went away. They don’t want those spicy stalks and leaves. I am out in the country and as with most country homes in my neck of the woods we have a lot of Asain ladybugs, I have yet to see this new bug (Megacopta cribraria) but I have seen the terrible stink bugs (however, those have not gotten into the house they’re just here and there). I didn’t want to spray a bunch of chemicals all over our new house but there were sooo many of them!! I was trying to figure out what to do to get rid of them when one day I stopped at the hardware store and this bad boy was on sale: http://www.acehardwaresuperstore.com/1216-insect-baits-traps/11331.html . I put one in my master bathroom and all that’s left now is to clean up the dead little bodys everywhere hahaha! The reason I mention this is because it’s said to work for those new bugs and the stink bugs if they get into your home. It says on the instructions just to put water if you want to do it so you can take them back outside (pfffft! as if!) oooor you can add a bit of dawn and BAM! dead buggies! So I would say to get the bugs to stay off the plants would be a mixture of water and dawn and spray it on (I’ve never known diluted dawn to harm plants…. just make them squeaky clean ;D haha) I really hopes this helps! I let you know to because I’m planting my very first (and rather large) garden by myself this year!